Clean and very functional Hud, Originally made by m0re! One of the first huds ever made, this hud has been around for years. I updated and tried to improve this hud, but always trying to keep his original look as much as possible! And thanks to every one that helped me fixing this hud! No Changelog has been submitted. This is my favorite new hud! Definitely love the font, the colors, and the overall cleanliness of it. Is there any way you can add the highest killstreak into the winpanel? If i can find a way to add it without changing the whole winpanel, why not! It look so cool! Gonna try it out. Hope you won't discontinue this HUD. Inside the custom folder you need to put the "m0rehud" folder, the one that you find inside the m0rehud-master to make it work (you can also follow the installation guide file, might be easier). And yeah about the customizations you just need to copy the folders inside the customizations and then copy and replace them over the normal hud files. Are you getting the default hud instead? If yes check if you installed it correctly and follow the installation guide file! Looks like brosel's hud, nice. Well Broesel is based on m0rehud thats why! Thank you. It can be difficult finding a HUD that shows team health. I need it for my Medic. The hud might work for mac already, the mainpage says is not supported just because I can't test it out on a mac system. So yeah there is a chance that the hud works perfectly fine on mac and linux as well, you just need to try it out. @Hypnotize This hud pretty much works perfectly for mac, apart from the fact that the four buttons on the main menu (streams, contracts, news and notifications) show up as letters instead (even with the font installed). Nonetheless, this is a great hud and you are an angel for updating so many huds. Thank you! P.S. The readme file says "esitate" instead of "hesitate". It doesn't really matter but I noticed that. Love the hud, thank you for keeping it updated Hypnotize! May I ask what was in the latest update (11. November 2016) ? Nothing important, it was just a new font definition that valve added so... I added it right away to the hud just so I don't forget to do it the next update. @Hypnotize It doesnt work for my mac, is there any suggestion you can give for it to work. I have a fps cfg installed but that shouldnt matter to much right? @S▽O No the fps config shouldn't matter, and the hud is not working at all (like you are getting the default hud instead) or is just a font problem? For now check if it's installed correctly (there is a installation guide file inside the hud, try to follow it). @Hypnotize Ye its installed correctly. Im just getting the default hud instead. Idk what else to do. when i pick up a healthpack the +100 hp is at the class model and not next to health, does that happen cus im using the 16x10 files or is it supposed to be like that?? 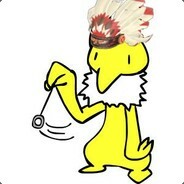 Yeah is supposed to be like that Torkoal! I'm sorry but that doesn't tell my much ... maybe you are missing a folder/file and that results in the hud being broken, try re-installing it following the guide and be sure to include the basefiles folder other than that I don't really know. what do you mean deadkiller? Not sure if it's intentional, but the damage numbers seem to have gotten bigger, possibly one of the customizations that I used ( team color healthcross, blue theme, last damage done enabled for health cross ). Haven't checked if it's specifically one or a combination that makes it happen, let me know if you want me to check. The health cross last damage done customization makes them bigger yeah. Actually it has always been like that, I don't really know why. I'll make it size 18 like the others, I think it makes more sense that way. Can the disconnect and quit button not be so close together, i frequently exit the game. I love everything else about the hud tho great job! One little thing. When you play engi, and theres a ton of chat, the chat kinds blocks the building thingy on the side, making it hard to see your buildings health and stuff. (Screenie: http://steamcommunity.com/sharedfiles/fi...=877282583). If you could move it so the chat doesnt clog up the building thingy, it would be greatly apreciated. How come when i download it and press the Casual button it merges the MVM menu hud and the Casual menu hud, for example in the middle of where selecting maps is it says BOOTCAMP etc etc, and i cant join a game because of this, there are like 2 start game buttons in the corner so it doesnt work. Basically what im saying is the MVM menu overlaps the Casual menu and it makes it not possible to start a game, no matter what i click. Last time I checked the arena win panel wasn't working properly, has this been fixed in the latest update? Worst hud ever, when i installed it all my keys on keyboard got messed up, my weapon quick switch does nothing, my e key no longer allows me to edit class, and all my binds dissapeared! I don't really think you know how to install a hud then... get some help or read a guide dude. where can I find the file/text in the notepad for the uber under the crosshair? It's HudMedicCharge.res and look for "ChargeLabel" should be at the very start of the file. How do I change the colour theme and stuff? Or if you just want to install the blue theme all you need to do is install the normal m0rehud the go to the customization folder open the theme-blue folder, copy the resource folder and past it over the old one. Oh yeah because I introduced it only yesterday sorry, if you still have the old version (which still works 100% don't worry i just changed 3-4 little things) it should be inside the resource folder, look for colors.res. Ohhhhhh never mind I figured it out! Thanks for the help. Could you add linux support? Some of the users said that the hud is already compatible with linux and mac, the only things that might be broken are the icon fonts. The reason i set it to not supported is because I don't have the possibility to test everything on a linux/mac system. Can you please add the Training Mode option? Please make the main menu customizable.I freakin love the HUD but the menu hurts my eyes. Tell me whats wrong about it at least! 1) is there a way to move the chat to the bottom? 2) is there a way to get rid of the uber bar at the bottom? 2) Open resource/ui/HudMedicCharge and search for "ChargeMeter" then set the "wide" to "0" if you want to move the uber labeel under the crosshair is always in the same file but you need to work with "ypos" of "ChargeLabel"
Have you tried to use the customization called Smaller Font already or you only tried the Minmode one? Keep in mind you should install these customizations before you edit the uber stuff, otherwise you need to do them again! Maybe next update, can you add a Training Mode button? How would you go about editing the main menu screen to have the Jungle Inferno things (saxton and the explosion background)? I really like the HUD but don't like the mannworks main menu background. Fixed and added the new backgrounds. I can't seem to get to work, can anyone help me? Whenever I join a server the game crashes, ive tried a couple things, but im not sure whats up. I already fixed that after the halloween update, download the newer version. How to customize hud? Can you make HudCustomization site? Like one that ToonHud Creator have. I found one problem.It doesn't show the killstreak..
yes it does, in the customization file in the morehudmaster, there is a folder with a killstreak option and drag it into the appropriateplace, and you have killstreaks. Hi, could anyone solve the console problem? Is not fixable! in fact you get the same problem with the default hud as well. You can still click on the morehud button if you need to use it on the main menu! 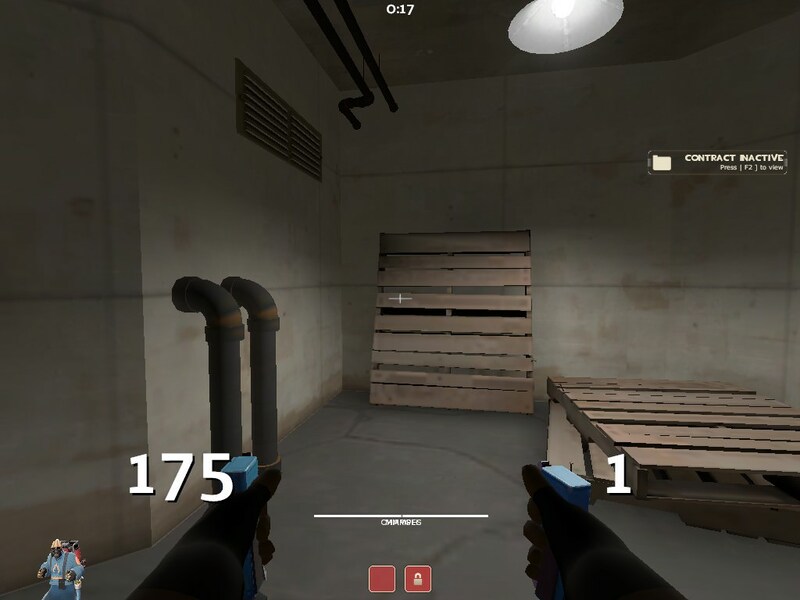 is there an update on this HUD from the recent update? HUD IS NOW FULLY FIXED FOR THE NEW UPDATE! is there a way to get a custom menu background with m0rehud? I like this hud. This hud kinda reminds me of broeselhud, Yeah the hud that SIN uses. Well it’s kinda dead and I think this is a perfect replacement for people who liked broeselhud. Although I think the scoreboard needs some improvents because you can’t see everyone’s score (Especially for people who just joined and got a kill) But still I think this is great. Keep it up man. This hud was made way before broesel hud (Keep in mind I'm not the creator m0re is). As far as I know broesel was made a bit after and based on what m0rehud was at the time. Anyway disable the minmode to get the full scoreboard! you can use the scoreboard button in the main menu as well as cl_hud_minmode 0. Can you please add rog`s crosshairs? I really like them, but I don`t know how to add them. Other than that, It`s my favourite hud! I have a question, where is the killstreak? I can't find it, or am i blind? "Killstreak Icon Enabled" you can find inside the Customization folder. Thanks, i just noticed that, anyway thanks for the help, i already know how to use customizations. I have done that with other customizations that i like, same thing with the killstreak icon. Hey just wanted to say, this HUD works perfectly on Mac! I don't know why it says it doesn't? It says it doesn't work cause I don't have anyway to try it myself to see if everything works correctly like it should, but anyway I guess I can set it to supported now since I got some reports of people saying it works fine. i was thinking how could i change the custom crosshair ("small cross") colour from white to green? "fgcolor" "0 255 0 255"
Does not work on Mac, help? As I said many times I don't have the chance to test it on a mac system but I got many people telling me that it works just fine and thats the reason it says its compatible. I'm not sure what the problem can be sry. Any way to disable the white flash outline around the cross when overhealed? Is there any way to resize damage numbers? Currently it is very small and i cant see it clearly. resource/ui/HudPlayerHealth.res > "PlayerStatusHealthBonusImage" > "xpos" "9999"
You need to change the font of resource/ui/HudDamageAccount.res > "delta_item_font"
so instead of "M0refont18Outline" you might want something like "M0refont24Outline"